It is not every day that we hear about a family that is truly dedicated to service to our country. 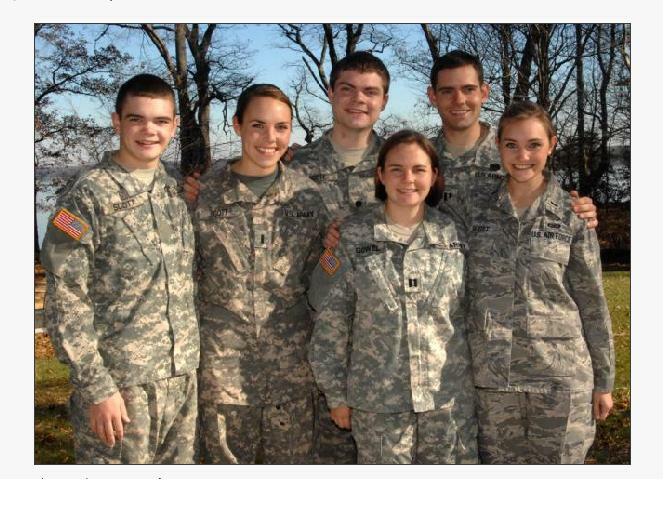 The six siblings in the above picture are all serving either in the US Army or the US Air Force. Motivated by the eldest sibling, Captain Kate Gowel, her other siblings followed in her footsteps. Captain Gowel’s father and grandfather were also in the Army, tracing active-duty military service in their family back about 130 years. It is quite amazing that families like these are out there and they very much deserve to be recognized. I feel confident that I can speak on behalf of all the Americans that we thank this family and those like them for their service and dedication to serving America. This entry was posted on January 26, 2010 by majastevanovich in Military and Troops News and tagged Dedication, Family, Service, US Air Force, US Army.